Location: Penafiel, Portela do Monte. Grid Reference: 41° 12' N, 8° 17' W (Approx). 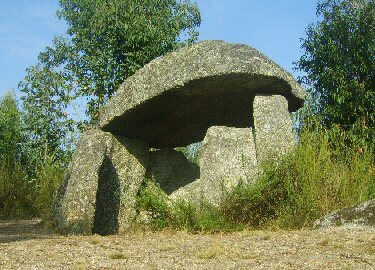 Anta da Santa Marta: (Dolmen). The capstone, which was split in two, has now been stapled back together on the underside. Inside, there is still just evidence of red (ochre) drawings, although they are incredibly difficult to see today. The Dolmen is represented in the local coat of arms. 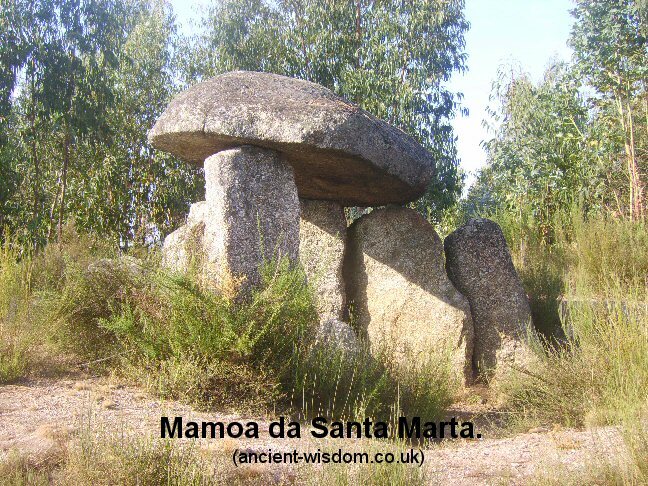 Dolmen with covered chamber and corridor, with evidence of a small mound 'mamoa', having once covered (part of) it. 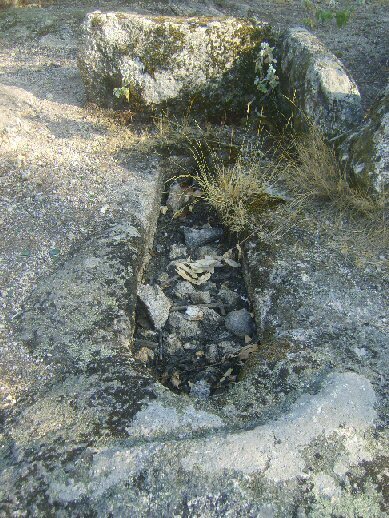 The polygonal chamber is made of seven stones, with only three now support the hovering flagstone. The corridor, which faces east, is made of ten stones and reaches about six metres long. One of three rock-cut sepulchres in the brush on the other side of the road from the site.